From Van Halen to House of Pain, many musicians over the years have encouraged us to jump. Now a fitness studio in Ikebukuro is making it fun and easy. 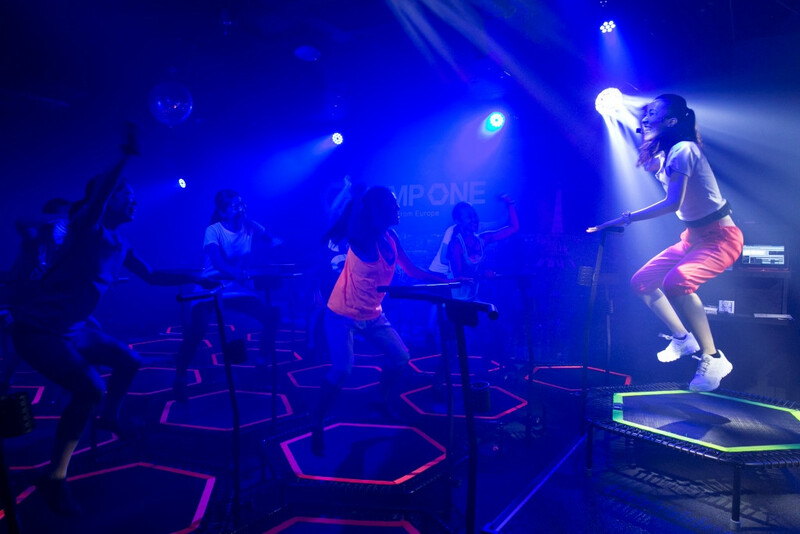 That’s jump one Ikebukuro, located three minutes away from Ikebukuro Station, which opened its trampoline-based Jumping Fitness studio March 31. 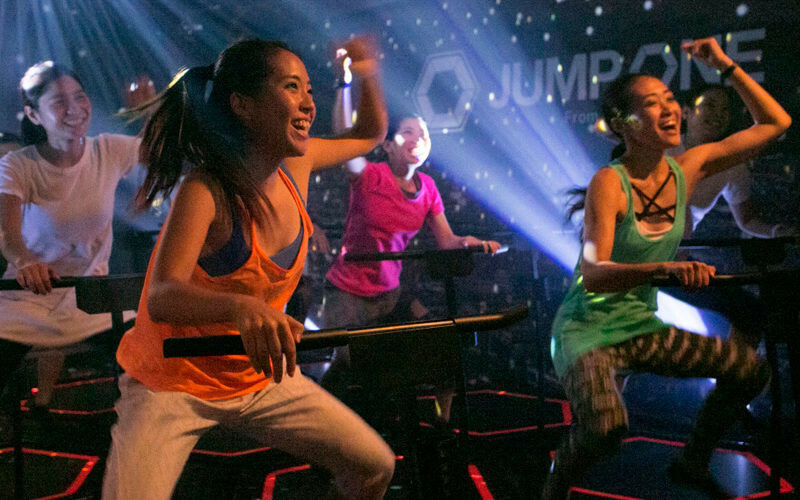 Jumping Fitness, which has become popular all over Europe, has also expanded to the U.S. and Hong Kong, and is so popular it can be hard to get a reservation. The first branch in Japan opened last year, making the Ikebukuro location the third in Tokyo. Jumping around is fun, but it’s also great exercise: it reduces the shock to the body by up to 85%. It’s even NASA-approved: the space agency claims 45 minutes of jumping has the same effect as 75 minutes of running. One 45-minute session can burn up to 800 calories, and reportedly also stimulates circulation, relieves stress and raises metabolism. And if jumping around with a bunch of strangers sounds embarrassing, relax: the studio is quite a bit darker than your average gym. This darkness, aside from hiding your initial, awkward jumps, is also said to help members bond through positive anxiety. Monthly memberships, as well as a one-time trial ticket, which includes a free towel rental, are available online. Sorry, fellas: at this time, jump one is for women only.